Gain direct access to our hand-crafted furniture product lines, exclusive promotions, inventory availability and more. Our locally stocked warehouse in the heart of Texas can quickly ship anywhere in the country. Connect with one of our account managers today and let us bring your furniture to life. HTD constructs 70 percent of its furniture from Mango Wood - a sustainable hardwood that is harvested from mature trees that are no longer able to produce fruit. 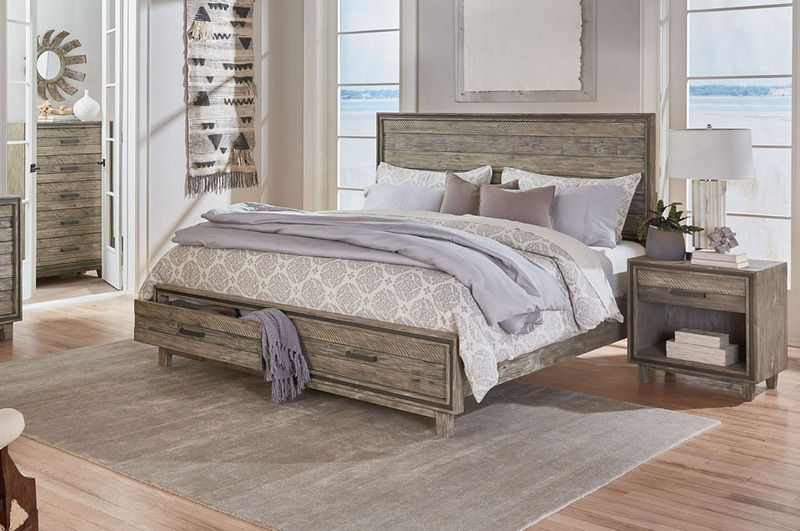 Combining the rustic look of weathered Elm wood with the stylish flash of stainless steel - creating a look that is as elegant as it is comfortable. HTD’s Live Edge Custom Table Program gives you the opportunity to capture nature’s beauty and bring it into your home. Crafted from sustainable hardwoods, each one-of-a-kind table reflects the individual characteristics of the tree it was harvested from. Choose from a wide range of styles and finishes to design a dining, coffee, side table or headboard that is uniquely you. Home Trends & Design is a founding member of the Sustainable Furnishings Council and a creator of the Mango Foundation.